So I am talking nails today. I have a life-long addiction (obsession) with beautiful nails. I am always searching for the perfect looking nail and I always check out other people’s manicures and fakies and shapes and colours. I have made a recent discovery after taking a risk and doing some serious research. There are so many products on the market these days – good quality and second-rate. 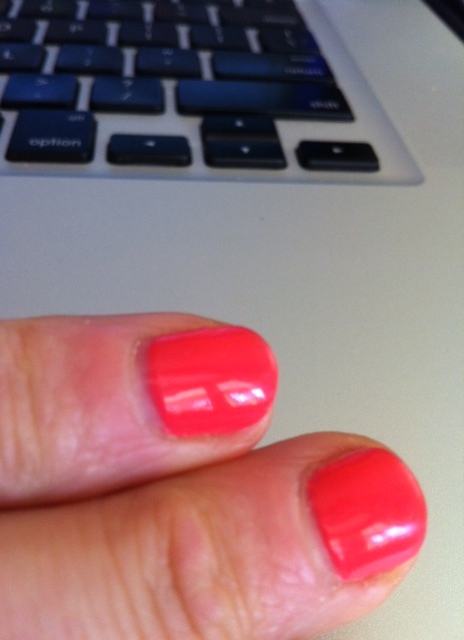 About a year ago I tried (for the first time) a product called Shellac. 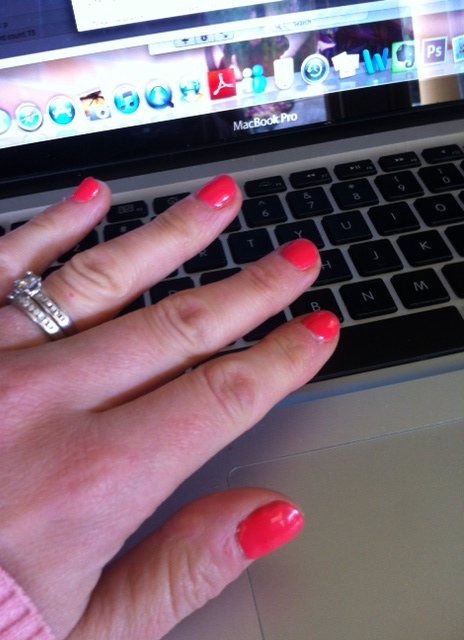 This is a gel nail polish that get painted on and set with a UV light (shock horror….UV light on your hands). I was told that it would last for up to two weeks. The Shellac experience I had a year ago last two days and so I was very annoyed and skeptical and didn’t think it was worth the trouble – especially since the rest of the nail polish had to be soaked off. I think it must have been an inferior brand (apparently there’s heaps out there). And apparently it depends on the ‘setting’ of the gel – that is, the quality and strength of the UV globes. I get so annoyed when I paint my nails and they chip a day later. This is the perfect solution for me. I am considering purchasing a kit for myself (too much?) as I think it would save HEAPS of money in the long run. What are your thoughts on the Shellac? Have you tried it? Do you have a desire to? The nails look GREAT! How easy is it to do yourself? I guess weigh up the cost compared to how often you would pay to get it done. You could open up your own little Shellac-ing boutique!! Yes, maybe one day I could start a million-dollar nail business. Ha! yeah right! I don’t need more stuff!! LOVE ALL my Apple products – HUGE FAN!